For those of you who have never before visited us here at the YIP campus, this is for you! Initiative Forum, takes place in Ytterjärna, Sweden, a rural community located 50km south of Stockholm. 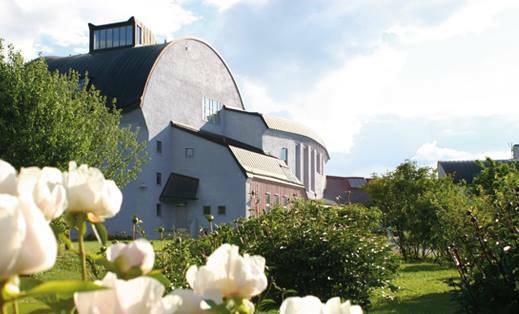 The Kulturcentrum Järna has a wonderful location on the Baltic coast, and is surrounded by biodynamic farms, forests and open meadows. Below are a few shots from around the campus. Internationally known for it’s unique architecture, The Kulturhuset, also located on campus is one of Jarna’s buzzing atmospheres. This will be the main building during the forum, where daily Openings, Closings and Cultural Events will take place. This week we put some of the final touches on our menu for the Forum. A learning experience in itself for many of the current Yippies. In order to truly share our YIP experience with you, we are very happy to say that meals will be sourced as locally and seasonally as possible! A view of the White House, where daily yoga classes will take place. Make sure to bring clothes to move in and a yoga mat if you have one! Our Art house aka ‘The Hub’ is another one of the buildings that will be used during the Forum. With large panoramic views of the islands dotting the horizon, we truly feel so fortunate to be able to share this space with you! Around the grounds you can view Flow Forms, which serve as a natural water filtration system into various ponds. All community members and visitors are asked to use only bio degradable body and cleaning products in order to respect this beautiful but delicate system. Sunset & Moonrise over the Fjord, which borders the campus. The little blue Meditation House, also bordered by reeds and the Fjord, makes for a beautiful solo retreat. Just a short walk from main area into the woods is an open platform built into the trees. With views in every direction, it the perfect spot for sunrises and sunsets.